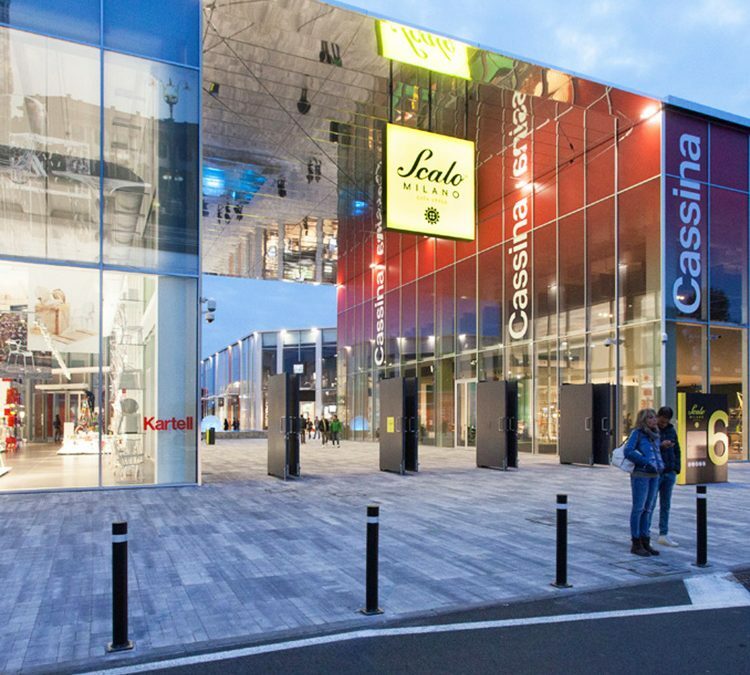 Just four days after the inauguration of “Scalo Milano”, the City Style District of Locate di Triulzi (MI) has already been visited by over 150,000 people. The project, presented Thursday morning before representatives of the institutions and important guests, is one of a kind on the commercial scene, with the goal of effectively becoming a district of the city – firmly rooted in the urban fabric – able to offer the public the best of art, fashion, food and design all in the same place, for the first time in Italy. – Design: Alessi, B&B Italia, Calligaris, Cappellini, Cassina, Dada, Kartell, Luxury Living (Fendi Casa – Trussardi Casa), Molteni&C, Natuzzi Italia, Poliform, Poltrona Frau, Scavolini, Varenna and Vitra. – Food: C House Cafè & Restaurant, Doppio Malto – Fabbrica di Birra, El Pan D’Na Volta, Fresco, La Piadineria, Lindt, Mc Donald’s, Nespresso, Panini Durini, RED laFeltrinelli, Roadhouse Restaurant, Rossopomodoro, shi’S, Spontini Milano 1953.